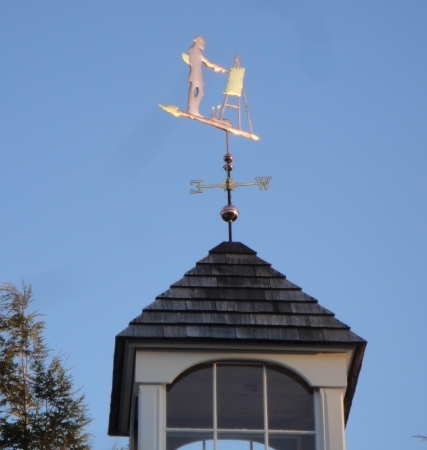 Our Artist Weathervane with Palette was originally commissioned in large size to sit atop a historic building in Southport Village, Connecticut. 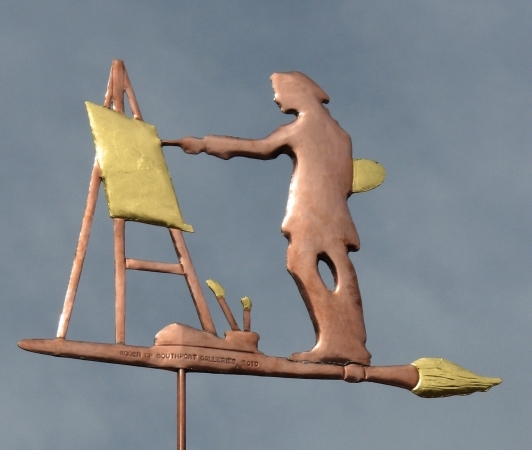 Once the location of the town’s hardware store, it is now a fine arts gallery. 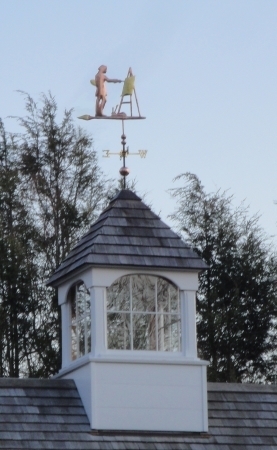 This vane is in keeping with the time honored precedent of identifying the work taking place and items being sold on the premises with its design. 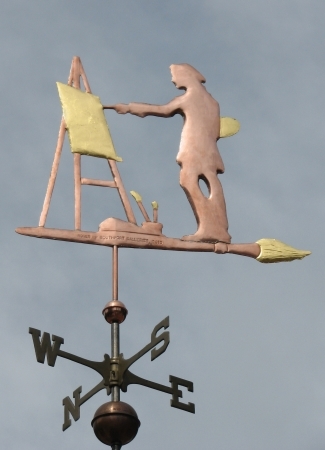 In the past dairies had cow weather vanes, cobblers had shoe and hammer weather vanes, blacksmiths had anvil weather vanes, and so it went. This design was such pleasure to develop with our customers, the gallery owners. Having the horizontal piece be a paint brush is a simple and delightful nuance. They chose optional gold leaf to accent the artist’s needs: canvas, palette, and brush. 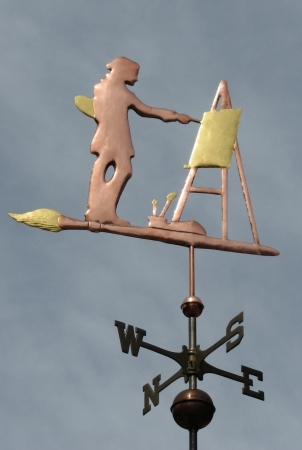 Their logo is black against white, so they left the artist in copper, looking to the day that all the copper parts have weathered a deep chocolate brown. We truly enjoy working with our clients to design or adapt a design to express their vision, so do call if you have a project you’d like to discuss.